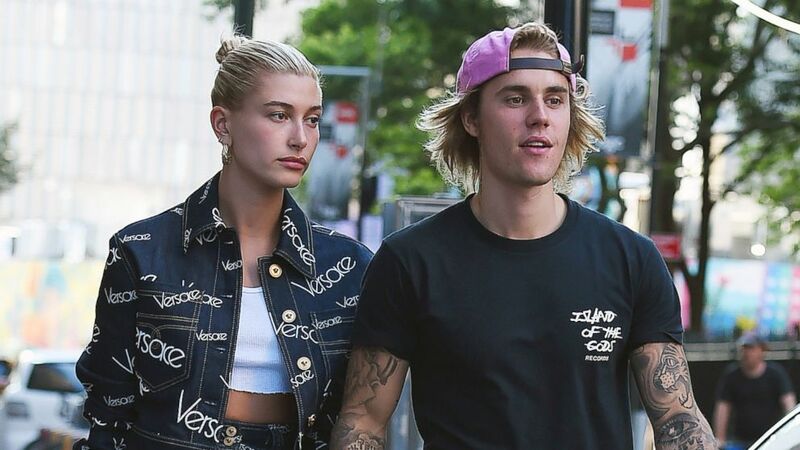 camera (Josiah Kamau/BuzzFoto via Getty Images) Justin Bieber and Hailey Baldwin seen on the streets of Manhattan, July 5, 2018, N.Y.
"What Do You Mean" Justin Bieber is 25?! It's true, the superstar singer is ringing in his quarter century. He's accomplished a lot in his 25 years including number one singles, a Grammy and even getting married to the love of his life -- Hailey Baldwin. We hope Bieber feels the love on his birthday, so we're bringing back the top 25 most romantic Instagram posts from the Biebers throughout the years. The Internet is buzzing: Did Justin Bieber eat a burrito from the middle? "We’ve been working through stuff," Justin admitted. There wasn't even any music playing. Happy birthday, Justin! We're so happy you made Hailey "One Less Lonely Girl." 25 sure looks good on u lover.. ?? I get to be his valentine forevaaa evaaa???? ??? ?